In “Fighting to Honor a Father’s Last Wish: To Die at Home” (the New York Times, September 25, 2014) author Nina Bernstein eloquently lays out the heartbreaking story of Joseph Andrey, whose last year of life was spent shuttling between inadequate care in every possible care setting. Often the services he received were provided in the most expensive available setting, regardless of the wishes of the family. Mr. Andrey finally died back in his home, but that final year of his life, quite likely the lowest quality-of-life year he ever endured, cost over a million dollars in Medicare, Medicaid and private funds. Unfortunately, too often it is. I have devoted over 30 years as a lawyer to Medicare advocacy, yet I could not help my uncle when his Medicare coverage was prematurely ended in the hospital and the nursing home. This resulted in his ending up at home with inadequate care, and he, too, experienced many of the dreadful occurrences that befell Mr. Andrey. A day after his death, and almost a year after his premature discharge, we won his Medicare appeal. Like too many others, he died after poor care and unfair denials from his private Medicare plan. Another victim of profits over people. Medicare and … the Military? I read David Brooks’ New York Times editorial yesterday with dismay. It seems Medicare is not only to blame for the federal deficit, but also for Sen. Hagel’s nomination and the end of America’s military might. I have been representing Medicare beneficiaries and studying Medicare since 1977. Even I was surprised by these positions. The determination to slash Medicare seems never ending. One hardly knows where to begin responding. But we need to try, before it’s too late. Before the next deficit cutting activities get underway, we need to set the record straight. The basic, public Medicare program was a cost-effective success. Medicare brought access to health care to older people who were refused private health insurance. It dramatically decreased poverty among older people. Unnecessary payments to private Medicare plans, unrestricted payments for prescription drugs and policies aimed at privatizing Medicare increased the program’s costs exponentially. These expensive provisions should be the targets for those whose true goal is to reduce the deficit. If the will exists, there is a way to reduce costs while preserving Medicare’s promise. Watch this short video from the Kaiser Family Foundation: http://www.kff.org/medicare/medicare-timeline2.cfm. It will remind you why Medicare matters. Negotiate drug prices for Medicare beneficiaries. Let the Affordable Care Act do its job. Be careful regarding private plans, premium support and too much cost-shifting to beneficiaries. 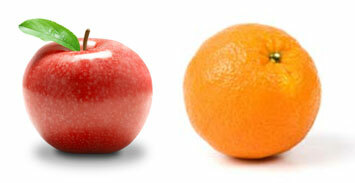 The REAL solution to Medicare costs lies in addressing health care costs in general. The piece also offers some ideas that are not ideal for beneficiaries, but the bottom line idea of working with Medicare, rather than undermining it as Ryan-Wyden would do, is the right direction. Between an aging population and rising health costs, then, preserving anything like the programs for seniors we now have will require a significant increase in spending on these programs as a percentage of G.D.P. And unless we offset that rise with drastic cuts in defense spending — which Republicans, needless to say, oppose — this means a substantial rise in overall spending, which we can afford only if taxes rise. So when people like Mr. Boehner reject out of hand any increase in taxes, they are, in effect, declaring that they won’t preserve programs benefiting older Americans in anything like their current form. It’s just a matter of arithmetic. Which brings me back to those Republican freshmen. Last year, older voters, who split their vote almost evenly between the parties in 2008, swung overwhelmingly to the G.O.P., as Republicans posed successfully as defenders of Medicare. Now Democrats are pointing out that the G.O.P., far from defending Medicare, is actually trying to dismantle the program. So you can see why those Republican freshmen are nervous. But the Democrats aren’t engaging in scare tactics, they’re simply telling the truth. Policy details aside, the G.O.P.’s rigid anti-tax position also makes it, necessarily, the enemy of the senior-oriented programs that account for much of federal spending. And that’s something voters ought to know. A version of this op-ed appeared in print on May 13, 2011, on page A27 of the New York edition with the headline: Seniors, Guns And Money. 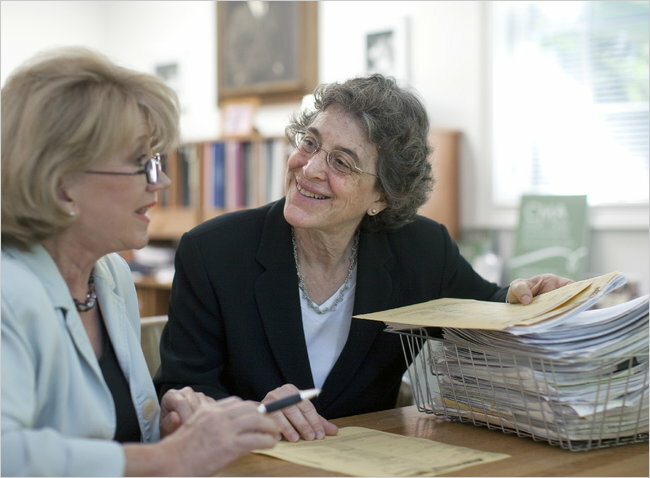 Judith Stein, right, executive director of the Center for Medicare Advocacy, with Jocelyne Watrous, a beneficiary consultant. Many private insurers this year are consolidating their Medicare offerings and discontinuing some plans. Medicare enrollment season is approaching, and many experts say they believe it promises to be a turbulent one — “a perfect storm,” said Paul Gada of Allsup, a provider of Medicare plan selection services. Why? In some areas, there will be dozens, even hundreds, of coverage options. The choices must be reviewed not just by current enrollees and a crush of baby boomers newly eligible for the government-run insurance program, but also by millions of people helping older beneficiaries. All of them must navigate a system that is changing rapidly, in part because of requirements imposed by the new health care law. 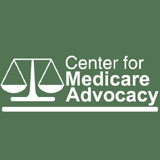 “It’s a complicated year for Medicare beneficiaries,” said Judith Stein, executive director of the Center for Medicare Advocacy, a nonprofit group that helps Medicare beneficiaries. To help simplify the process, you’ll first need a quick rundown of exactly what Medicare entails.